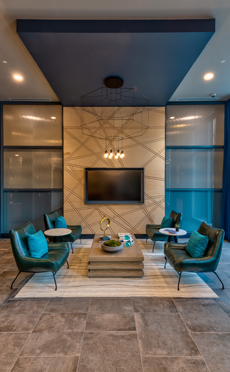 Located in the heart of Midtown Atlanta, at the corner of 8th and West Peachtree Streets, Alexan 880 is a 20 story, 355 unit high-rise apartment that offers over 9,000 sf of retail space along with covered parking for 535 end users. 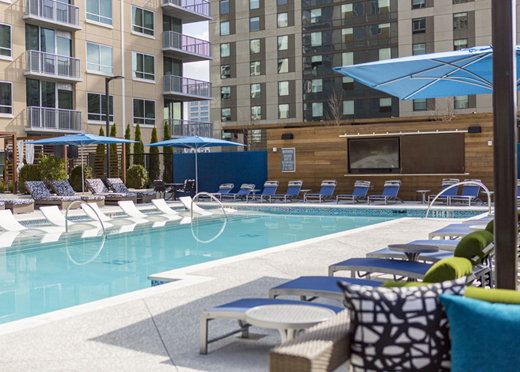 Residents and their guests are greeted with the hospitality and charm of a world class hotel on the ground ﬂoor and later provided additional resort style opportunities while visiting the 8th ﬂoor Club, Fitness Center, and a landscaped amenity plaza with pool, dog park, and additional outdoor amenities for tenants to enjoy. 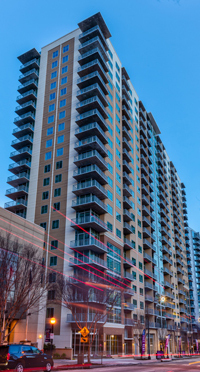 RJTR is providing master planning, architectural design, interior design, structural, and MEP design services for the Trammell Crow Residential development.